1.Long-life and reliable LED Indicator. 2.LED for energy saving and low maintenance cost. 3.Screw-clamp for easy connection and strong conductivity. 4.Widely use in electricity equipments, textile machines, printers, ships and mining machines. 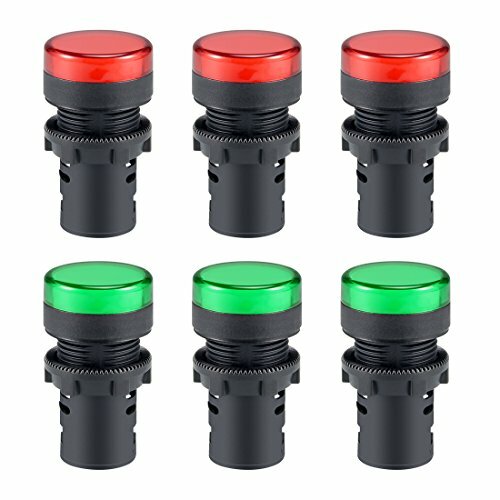 5.These panel mount pilot lights are sure to give you a visual status cue of any indexing signal, anticipating signals, emergency signal and other indexing signals. 6.Simply drill an 22mm (7/8 Inch) hole, and use the included screw ring to secure this Indicator Light to any 24 volt power source.